Speaking to media on Tuesday, the minister described the deadly clashes with Azerbaijan along Nagorno-Karabakh’s line of contact in early April as a challenge to the country’s economy, but stressed that the Armenian government is ready to meet this challenge and overcome the difficulties imposed by it. Meanwhile, experts do not rule out that the escalation of the conflict in Nagorno-Karabakh and related economic uncertainty may actually affect the prospects of achieving a higher economic growth in the country where the annual GDP growth in recent years has been at around 3-4 percent. Economic analysts also point to other problems not directly related to the situation around Nagorno-Karabakh that will continue to slow down the economy and hinder the inflow of investments. Economist Vahagn Khachatryan, who is affiliated with the opposition Armenian National Congress party, believes that if a classical approach is applied, then the unprecedented growth of tensions in the Karabakh conflict zone must surely have negative effects on investments because “money loves peace”. “However, there are also other factors, too, such as the readiness to support Armenia that has been voiced in recent days and today’s enthusiasm [among people], which may turn into real investments. This, unfortunately, does not yet mean practical steps, because tomorrow, or the next day, when things calm down, these people will assess the situation and perhaps will change their approaches,” Khachatryan told ArmeniaNow. According to the economist, purely from the economic point of view Armenia is not a country favorable for investments. “We are a country which is in a de-facto state of war, our tax system is not favorable, corruption here looms large and the environment is not favorable for business as there is protectionism. We cannot speak about new large-scale investments until all these problems are solved,” he said. In his program speech on February 12, President Serzh Sargsyan insisted that it is possible to make reforms and develop economically and politically even in the conditions that Armenia has today – absence of all relations with its neighbors to the east and west, Azerbaijan and Turkey. 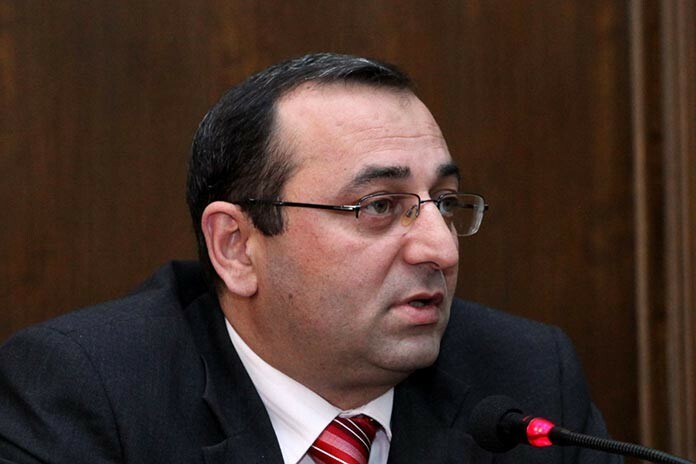 Political analyst Armen Grigoryan agrees that Armenia can become attractive for investments even in the current situation of unstable peace if it manages to solve its internal problems. “Of course, the war has its impact on the situation. However, if Armenia manages to properly protect the property rights, investments may increase, and especially from Diaspora Armenians after the recent events,” Grigoryan told ArmeniaNow, citing the example of Israel, where investments are at a due level despite the country’s tense relations with its neighbors. According to the expert, the latest developments in the conflict zone may also have their impact on tourism – and that could have two opposite aspects. First, people might be wary and not willing to visit Armenia and Nagorno-Karabakh because of the recent hostilities, but on the other hand, there might also be many, especially from the Diaspora, who would visit out of interest or patriotism. In Grigoryan’s assessment, however, tourism is far from being a crucial factor for Armenia’s economy yet. It is interesting that lately President Sargsyan has been holding consultations with senior members of his government and diplomats on ways of encouraging investments and economic ties with a number of countries. Since February the head of state has held such consultations on Armenian-Iranian, Armenian-French, Armenian-German, Armenian-Argentinean and Armenian-Austrian ties. Sargsyan’s recent visits to the United States and Germany were also aimed at trying to bolster trade and investment links with these world’s leading powers.